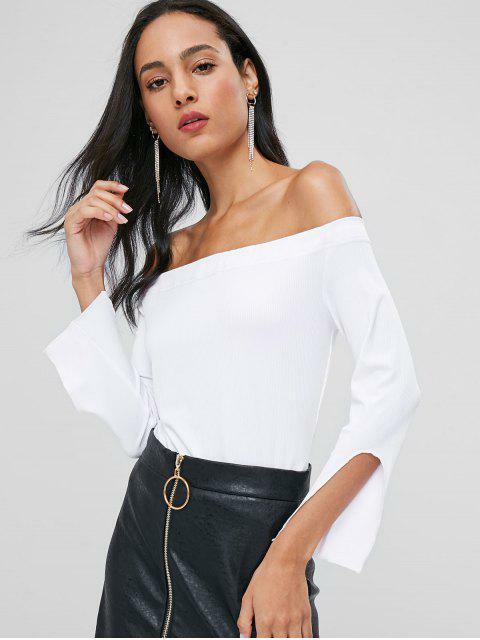 [31% OFF] 2019 Slit Sleeve Off Shoulder Top In WHITE | ZAFUL .. This long sleeve to look plain but not simple. Specializing in the long sleeves with a notched, slit detail for a breezy, flirty feel, this top is flattering with an off-the-shoulder collarline for a peek of the bare shoulder to complete the look. Just tuck it into your fave bottoms like skirts or jeans for a look that is suitable for any casual outing.